i think the white paint on black rims looks classy. sweet ride man. 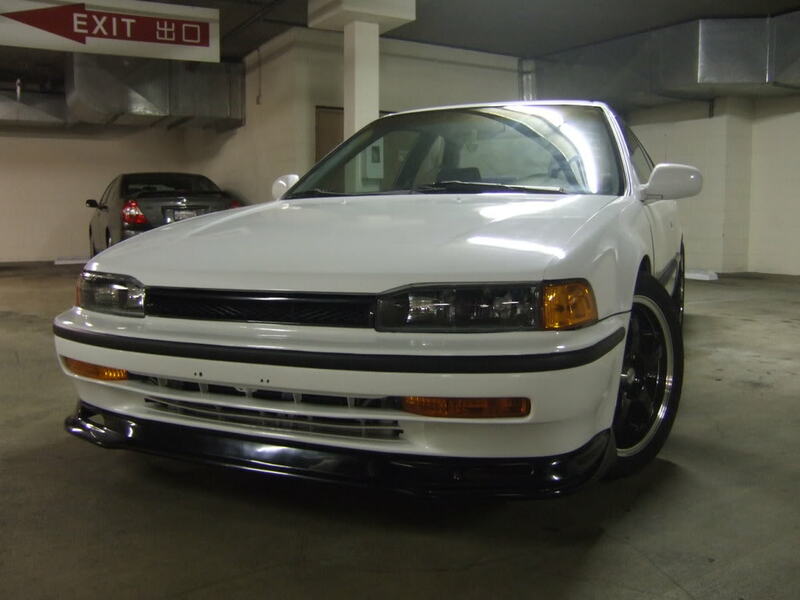 Looks similar to the RS 2.0 lip for the tC .... looks good, but IMO, black lips are overdone. I'd match the car color if I were you. looks great. i like the rims. 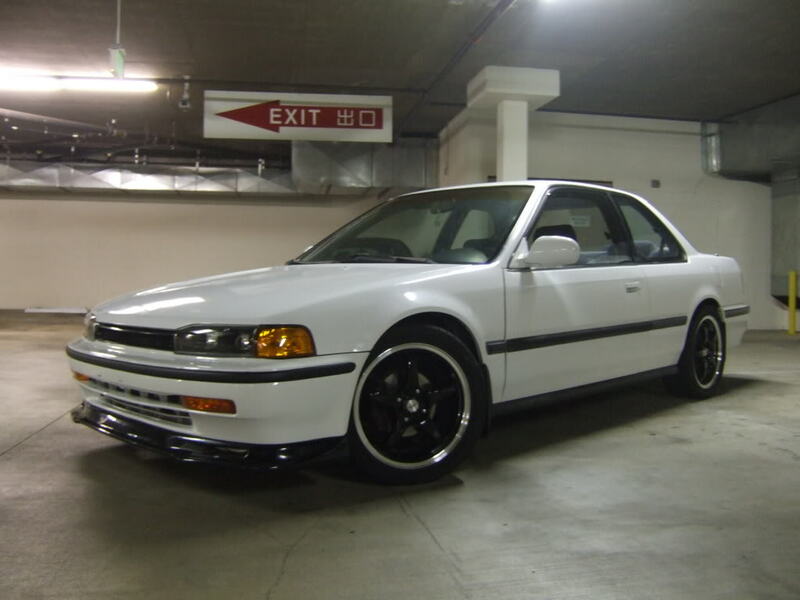 this might be just me, but ive always thought a great appearance mod for the 3-5th gens would be to paint the door moldings the same color as the car. just a thought. Looks kinda weird to me, since my moldings are so bulky. 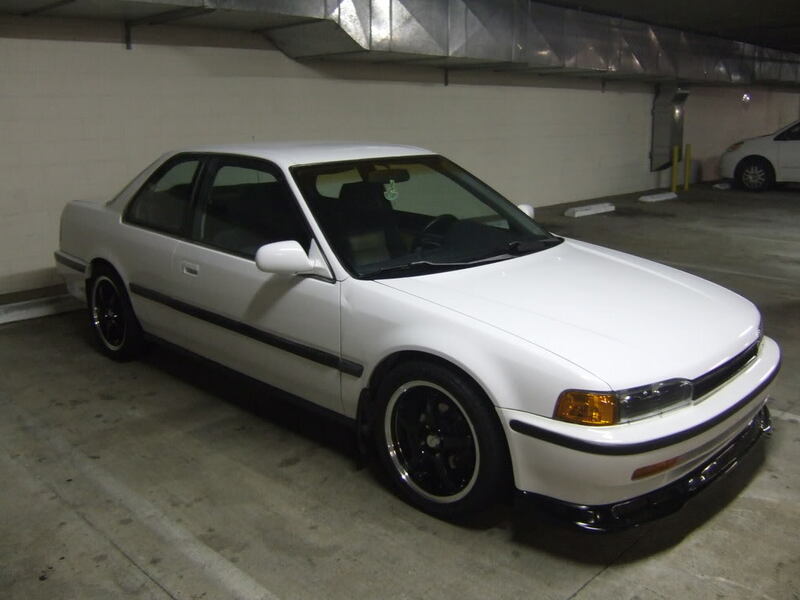 But for like a 6th gen accord, it looks nice to paint the moldings. I had a 6th gen EX-V6 and it came with painted side skirts. My ex-gf had a 6th gen LX 4 cyl. that had the black skirts. They released them both ways, but IDK which trims got the painted ones. She is planning to have them painted, last I heard. how did u post pics in the post like that?